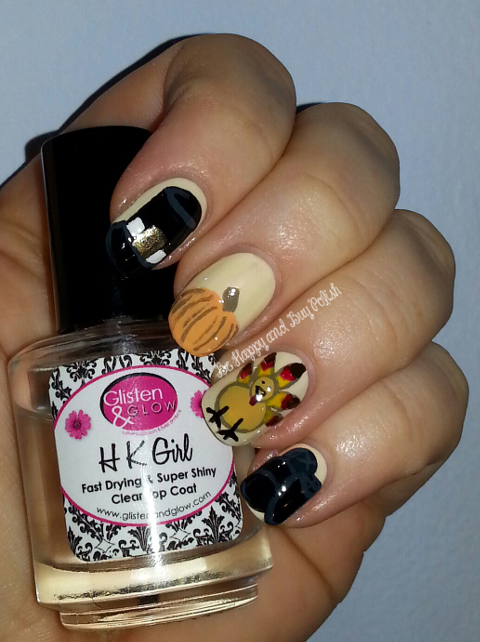 Posted in Holiday, Manicures, Nail Art, pictures	by Jessica W.
First up is more of an autumn manicure: falling leaves. The base color is Zoya Jacqueline, with two thick coats of pahlish Heavy with Mood. Then I used Zoya Jules & Creamy, essie Mojito Madness, Hip-Anema, and Maxilimillian Strasse-Her for the leaves. Next up, Thanksgiving! 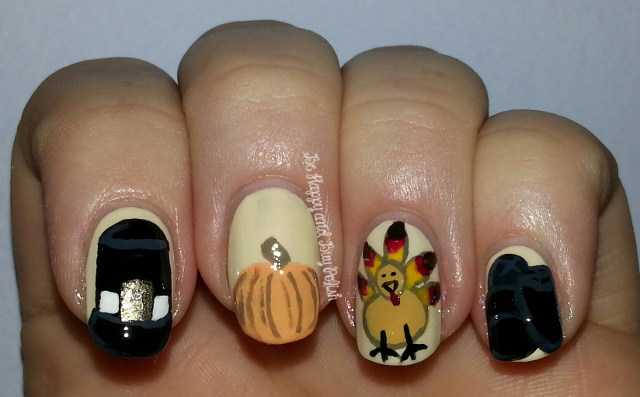 I did a pilgrim hat, a turkey, a pumpkin, and black olives. I’ve used Sinful Colors Black on Black, Snow Me White, Pull Over, and Coffee; L’Oreal Creme Puffs and The Perfect Trench; Orly Old School Orange and Unlawful; JulieG Ornamental. 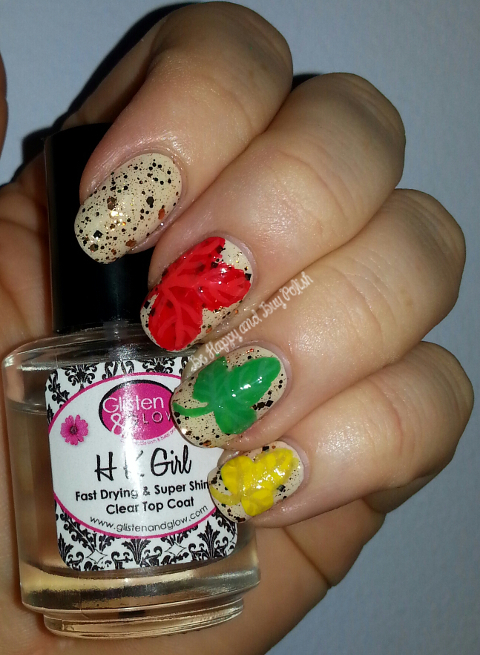 What do you think of these fun nails? My black olives are a little hard to see, but I like them – anyone else stick black olives on their fingers and then eat them off? Too cute!! Love the manis. I can never get my turkey’s to work out right. I love these manis. They’re incredible! 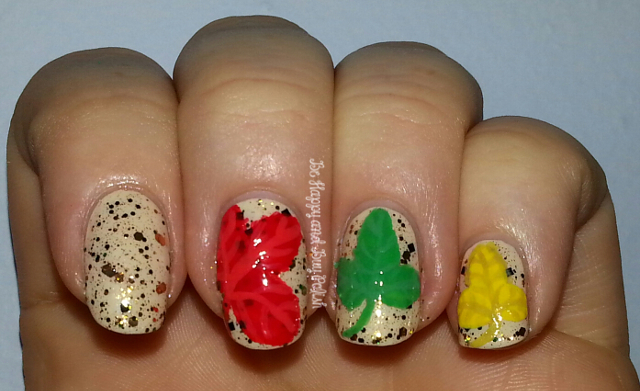 I love how you paired autumn leaves with glitter! And the little turkey is almost too cute.